International construction and real estate consultancy Drees & Sommer has announced the launch of a Dubai-based innovation hub, as it looks to expand its research and development (R&D) efforts across the Middle East. The new regional innovation hub provides a collaboration platform to support the company’s 3,200 employees and external start-ups by identifying market gaps and devise tangible solutions to everyday challenges faced by the industry in verticals including planning, construction and operations. The idea behind the hub is to bring simplification to processes, cost-effectiveness, process streamlining and solution provision to different challenges. The Dubai launch follows the successful implementation of regional hubs around the world. In Aachen, Germany’s ‘Silicon Valley’, there is a focus on customised smart buildings; in Stuttgart on start-ups and processes; and in Berlin, the innovation hub specialises in smart cities and smart quarters. In the Netherlands, an innovation hub focuses on wellbeing and sustainable innovation. All hubs link Drees & Sommer to external research institutions and start-up organisations and drive specific initiatives, the company said. Steffen Szeidl, executive board member at Drees & Sommer, said: “It has always been part of our corporate culture to promote our own ideas and initiatives. Increasingly, digital transformation and our clients are calling for completely new and disruptive business models. The Innovation Centre is one of our responses to these challenges. All 3,200 staff members can upload their ideas virtually. Promising concepts will be developed, funded and localised for any market which sees the potential. 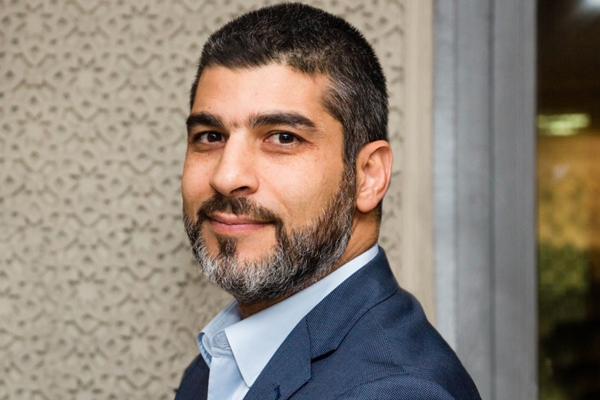 Abdulmajid Karanouh, head of interdisciplinary design & innovation at Drees & Sommer Middle East, leads the Dubai innovation hub. He explained: “There is a huge demand in this market for contextual solutions as most models and systems are imported from abroad with little to no adaptation to the local culture, economy, and environment. As a consequence of this approach, we are facing major challenges related to user-comfort, efficiency, manageability, durability, and overall sustainability and feasibility of the built environment in the region. The innovation hubs address everything from designing a fully digitalised building with a central Artificial Intelligence brain comprising of thousands of sensors, to optimising performance through data collection, statistical analysis, and operation automation.